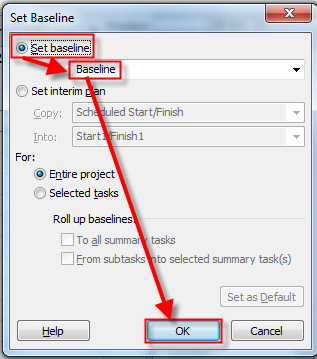 ← How to make all working hours as Overtime hours in MS PROJECT 2010? Finish date and the problem in MS PROJECT 2010! Or not? I have a question from one of my Blog readers: “Is it possible to see Finish Variance in working days instead of calendar days? e.g. If i completed my task on Monday, instead of Friday, i want to see variance of 1 working day”. Piece of Cake in MS PROJECT 2010, and MS PROJECT 2013 as well! First I will create a Project with one Task! Resources for this Task are irrelevant, so I will skip that part. As you can see Baseline Start, and Start (Actual) are the same, but Baseline Finish, and Finish (Actual), are different. Finish Variance is not just Finish – Baseline Finish, because in that case it will be 3 days, instead of one! In my next two Post I will answer to another two questions of my Blog Readers. What happens with %units when you have fixed work/fixed duration Task, and change duration/work! My blog reader thinks that there is a Bug, but there is not a bug. This entry was posted in MICROSOFT PROJECT, Microsoft PRoject 2010, MS PROJECT 2010, PRoject Management and tagged Microsoft Project 2010, MS PROJECT, MS PROJECT 2010. Bookmark the permalink. 1 Response to Finish date and the problem in MS PROJECT 2010! Or not?